This entry was posted in Uncategorized and tagged Anarchism, Elections, history, Political theory, Russian revolution. Bookmark the permalink. 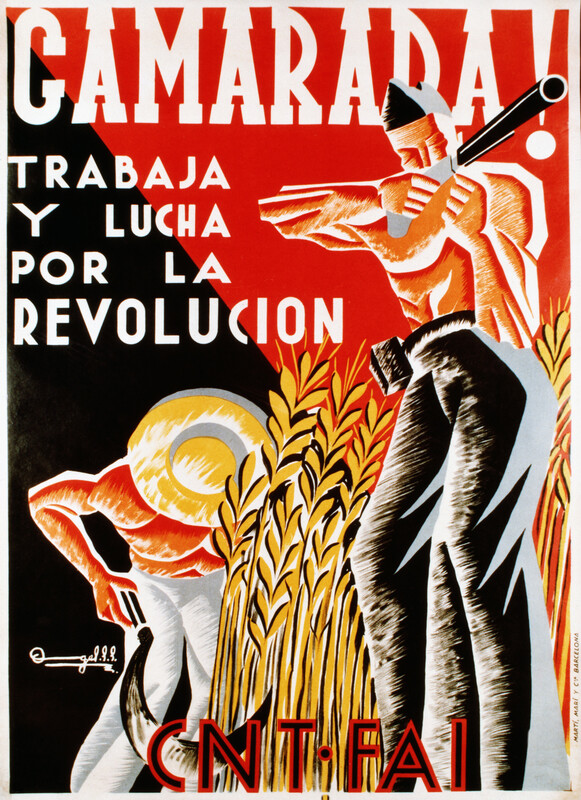 Platformism is really only a rediscovered form of Bakuninism, with its emphasis on combining mass work in unions (later called syndicalism) and a cadre group. Anarchism is a silly label and just not much use. Apart from the branding difficulties it engenders with the public, it also has enabled itself, through a paralysing fear of being hierarchical, to be penetrated by a virus of individualism. Hence the toleration of anti-civilisation, anti-union, and a load of thoroughly worthless strains. This makes it unattractive. Although I retain sympathy for the Bakuninists, who have the merit of being serious, I’m not sure that that strategy is sufficient today. The rise of syndicalism in the late 19th and early 20th century was generally accompanied by the rise of the Social Democratic parties. No doubt there were complicated reasons for this, e.g. the development of modern industrial capitalism, but the existence of SD parties helped create a context in which socialist ideas could penetrate unions. That is, the tendency in unions to level off as sort of guild associations content with being the defenders of workers under capitalism would have been accentuated without the perception of socialism as the coming thing. If unions can move beyond gas and water socialism on their own that would be great. But syndicalism (including platformist syndicalism) ploughs a difficult furrow because growing political struggles out of economic ones is very hard, even with regard to the current economic recession when the link between economics and politics should be pretty obvious to people. Unfortunately, almost all purely economic struggles find them isolated as sectional interests. This is negative in three ways: it prevents the struggle from broadening out and b) it reduces the effectiveness of workers power at the point of production and c) it inhibits the development of political class consciousness. In contrast, it is easier to deploy economic pressure in response to political demands, e.g. a dockers’ strike that refuses to load weapons. It is one of the oddities of humans that we respond to injustice as much as material pressure. The trick for socialists is to link the two and it is easier to make that link in the political –> economic direction rather than vice versa. The question of injustice is a political question. People might appreciate higher wages but unless they feel there is an injustice involved it can be pretty hard to get them to struggle for it. And that is only the starting point. It’s very hard to successfully take the revolutionary offensive. 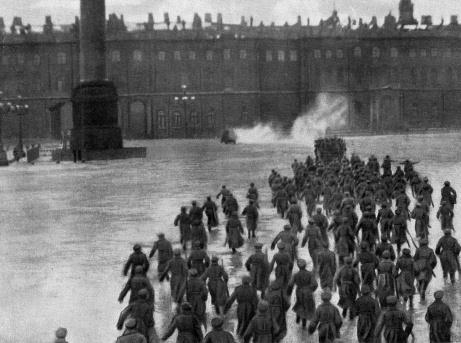 Revolutions generally occur in response to crisis and as Trotsky says somewhere, in order for the population to go on the offensive action you have to persuade them that is actually a necessary defensive action. A mass party is also probably more suitable than a union for organising outside of the workplaces. Kautsky and Lenin get lambasted for their “trade union” consciousness argument, but usually on the ground that they emphasised the role of bourgeois intellectuals in inputting socialist consciousness to the labour movement. Thus, the more important point regarding the need to consciously promote the goal of socialism if the labour movement is to become more than a mere defender of workers under capitalism. Bakuninism recognises this; therein lies the role the cadre group. But the pre-WW 1 Social Democratic approach has a much better track record in building the necessary preconditions of a strong labour movement and high level of political consciousness. The promotion of socialism is an inherently political task and this makes it difficult for a labour union to engage in it and it’s not one that a small cadre group is ever any good at (their niche is to work within mass organisations). That’s never to say never: a union might be able to; many unions had (and still have) formal commitments to securing for labour the means of production and the like. But it is difficult for them to engage meaningfully in it due to their very nature. The very presence of a mass socialist party would legitimise such goals and thus make it much easier for a union to work towards them. A mass party and radical unions are complimentary rather than exclusive strategies. Certainly, the greater the degree of prefiguration that can be achieved the greater the chances of success in any revolutionary upheaval. This is particularly the case for key industries which, because they are critical for the rest of society, will not only be key to post-capitalist regime’s survival, but also in providing an example to less organised workplaces. The Trotskyists usually want a mass party to be both revolutionary Marxist and have a mass membership. This is no more successful than the AIT’s similar fantasy for unions. Recently they have – perhaps unconsciously – stumbled upon a more fruitful path: a broad socialist party that doesn’t require members to tick a lot of revolutionary boxes. There will be continuing tension between their theory of a Leninist party (which has been a disaster throughout the west since the formation of the Communist Parties in 1919) and the success, albeit modest, they will meet with pursuing the mass party strategy. There can be a broadly, if vaguely, socialist party which houses various tendencies. It’s likely to be fairly radical at the outset as it will be set up by the revolutionary left. As it grows it will naturally take on the characteristics of its members, not all of whom will be of the same political views. The challenge then is to retain the strength of socialist tendencies so that when crises do arrive that its political vision is sufficiently embedded in both the party and the population that it can become a player when capitalism hits one of its crises. Many political parties dispense with the weapon of economic leverage to concentrate on elections. This makes sense if the goal is to take power in a capitalist system. If the goal is to successfully navigate a transition to socialism, then retaining that weapon becomes indispensable. If the goal is to replace capitalism then that strategic choice no longer makes sense. In effect we need a Sinn Fein/IRA duality. The cutting edge will necessarily be syndicalist, but without the political vision and the mobilisation of the population on a political basis it will not be possible to exercise that weapon. I don’t see the criticism of elections as being valid. Yes, it can be a strategic dead end. But then so can trade unionism. It’s a tactical question as to which aspect to emphasise and not one that we should harden into a principle. The bigger difficulty is that the party model that has dominated the far left has been a Leninist one. And that can never work. This post sorta skimmed over my views on elections, I agree its a tactical consideration (hence the railing against any of these as been taken as iron laws of nature), just usually it isn’t worthwhile, and most of the socialist left over emphasises it hugely. I don’t think its just an issue with the Leninist party model either, the whole Tommy Sheridan thing was around the Scottish Socialist Party, which was more like your conception of abroad, multi-tendancy socialist party than the traditional Leninist conception. The trouble I have is that ordinary people identify politics with political institutions. They see parliament and council as where politics takes place, People see unions/campaign groups/pressure groups role to lobby these institutions to get their concerns taken seriously. I believe the working class need a party – firstly to connect the class to the institutions, and secondly to represent their interests within them. Sadly with the demise of the SSP to a shadow of its former self there is no such party. 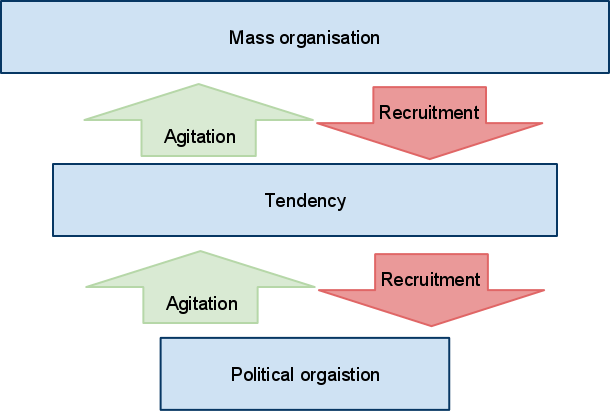 If I understand it correctly it advocates radical organisations engaging with political institutions with a view to changing the manner in which they operate, linking together the political process with grassroots initiatives, with a view to democratise them out. He is also quite critical of syndicalism, as something which can become an alternative but ultimately non-radical power base, where workers protect their industrial power at the expense of the wider community’s needs being met. I agree with you about politics largely, it is certainly seen as being within the domain of the parliamentary system. I think though we have different goals. The problem with attempting to reform and work within the parliamentary system is that parliament’s power, indeed its very existence, rests on the consent of various other institutions which will likely prove hostile to any attempt at reform that serves to diminish their own influence. Should the business class, the senior civil servants and most crucially the army and police force, decide that your socialist program is not in their interests then you can expect a rather swift coup. Whilst they may be willing to tolerate different political factions competing in their bids to administer capitalism, I don’t think they will be so generous when it comes to a genuine socialist party which seeks to replace capitalism. So if capitalist institutions cannot be reformed into socialism, then they must be replaced. Consequently it would seem imprudent to want to connect the class to institutions that we will one day replace, a process involving the delegitimisation of said institution in the eyes of the populace. This is why I think syndicalism is important, it realises that much of the power in society ultimately flows from the economy and those who control of it, rather than the various administrators in Westminster. Consequently we seek to organise the working class around where they participate in the economy, in their workplace. The critique of syndicalism he offers is hugely simplistic, evidence of “bureaucratisation” can just as readily be found in the various municipal structures he cites as they can in syndicalist unions. It is worth pointing out that the original syndicalist union, the CGT in France is still to this day a confederation. The syndicalist movement has long advocated the confederation as a model, simply using workplaces as the base-unit rather than municipalities. Ultimately though we need both local and economic government, and so I support (as I argued for in the community syndicalism piece on this blog) building community organisations such as residents associations with a view to creating confederations based on them in addition to syndicalist unions.